If you've ever stared up at the stars on a dark, clear night, you've likely seen it: an unblinking light slowly gliding across the sky. It could be a satellite. But chances are, it's space junk. The launch of Sputnik 1 on Oct. 4, 1957, ushered in the Space Age. It also created a trash problem surrounding Earth. Since then, there have been more than 5,000 rocket launches, with part (or parts) left orbiting Earth. There has also been an accumulation of now-defunct satellites. While space junk may seem inconsequential, the threat it poses to our daily lives is real. We largely take the importance of satellites for granted, but we have come to depend on them for anything from communications to weather to GPS. If you use a cellphone, you're dependant on satellites. Today, the European Space Agency estimates that there are roughly 166 million man-made objects in space, ranging in size from one millimetre to the size of a refrigerator. Not every piece is large, but every piece threatens to disrupt our daily lives and a danger to the life of an astronaut. "One millimetre and one centimetre, they sound small, but at orbital velocities, the average impact velocity is 10 kilometres a second. So that's 36,000 kilometres an hour," Holger Krag, head of the European Space Agency's Space Debris Office, told CBC News. "Even a one-centimetre piece has the kinetic energy of an exploding grenade." 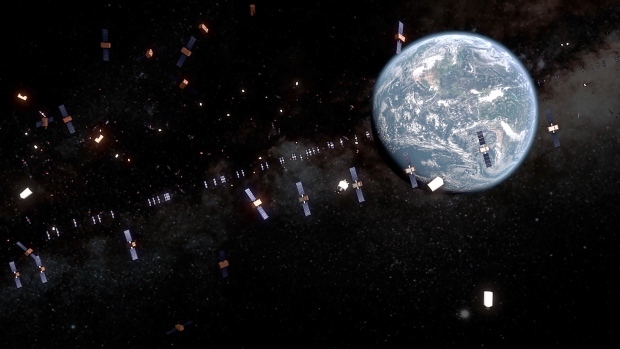 Krag is concerned about the future of space debris, particularly when it comes to constellation satellites, large networks made up of hundreds or even thousands of small satellites. 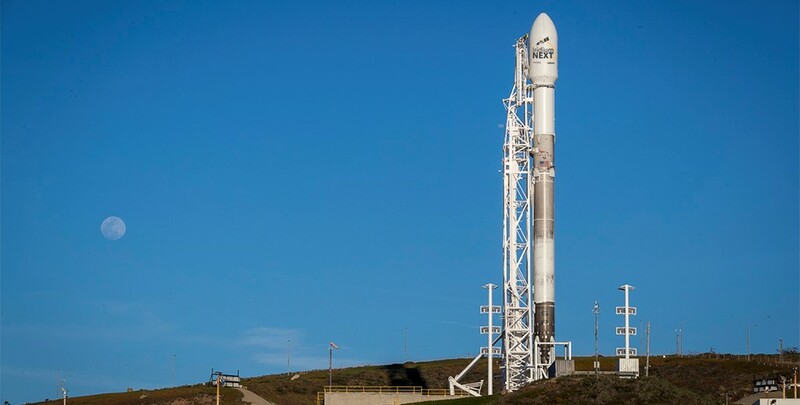 On Thursday, SpaceX deployed two satellites as part of its test for a constellation network that will consist of approximately 4,500 satellites. Another company, OneWeb, has approval for a network of 720 satellites and Telesat Canada has approval for one with 117. All are designed to provide broadband internet service. "If you take all the [constellation] proposals together, they will be launching in three or four years the same amount of satellites that we have launched in the whole history of spaceflight," Krag said. Satellites in orbit up to about 800 kilometres experience drag from Earth's atmosphere, which can cause them to eventually fall back to Earth. That's what is preferred since the object would burn up as it re-entered the atmosphere. "The orbits of most of these broadband constellation satellites … they target orbits far above —1,000 kilometres — where the atmosphere is completely absent. So if they fail, they would stay there forever," Krag said. According to J.-C. Liou, chief scientist at NASA's Orbital Debris Program Office, in 2017, the International Space Station was forced to move once to avoid a collision and satellites had to manoeuvre 21 times to avoid collisions. Ensuring that we don't add to the space junk is one step countries are taking to make sure satellites and astronauts are safe. Some researchers are suggesting novel ways in which to tackle the problem. One is space lasers. In January, Chinese researchers at the Air Force Engineering University published a study in the journal Optik: International Journal for Light and Electron Optics that proposes using a space-based laser to tackle the space debris problem. While it sounds like science fiction, it is very real science: a precision laser could gently ease debris into a decaying orbit that will re-enter the Earth's atmosphere and break up, decluttering space. It could also be used to push it into a different orbit, which has come to be known as the satellite graveyard some 35,000 kilometres from Earth. But such lasers would be costly. There's also the concern that the technology could be weaponized. Though there is an agreement among spacefaring countries through the United Nations Office for Outer Space Affairs, there is no binding international law. In 2007, China tested an anti-satellite rocket, destroying its own Fengyun-1C in orbit approximately 862 kilometres above Earth. That single event added more than 3,300 objects to a catalogue maintained by the U.S. Space Surveillance Network. Krag would like to see something in place where all countries adhere to the same standards to avoid such situations. "We need to prevent a generation of more debris," Krag said. "That is absolutely the most important thing."